Will anyone be able to dethrone this superteam? Splyce and TOX Gaming, the former OpTic Gaming roster, have faced off in the grand finals of four–consecutive Halo tournaments—and Splyce have won every time. The reigning champions—Jonathan “Renegade” Willette, Anthony “Shotzzy” Cuevas-Castro, Kevin “Eco” Smith, and Braedon “StelluR” Boettcher—beat TOX once again to claim the HCS New Orleans 2018 championship on Sunday. These two juggernaut squads squared off in the winners bracket finals, and Splyce took that series 4-3 despite facing an early 3-1 deficit. After TOX beat Renegades 4-1 in the losers bracket finals, the former OpTic Halo team was set for their rematch with Splyce in the grand finals. Many Halo fans were surprised to see TOX absolutely dominate the first best-of-seven series in this grand finals. Bradley “Frosty” Bergstrom, Tony “LethuL” Campbell Jr., Paul “SnakeBite” Duarte, and Mathew “Royal2” Fiorante swept Splyce in the opening series, including strong wins on Refuge Capture the Flag, Truth Slayer, Eden Strongholds, and Fissure Oddball. But Splyce immediately answered back after TOX reset the bracket, kicking off the second best-of-seven with a 150-67 win on Echelon Oddball. TOX responded by taking Refuge Slayer 50-29 to tie up this showdown. Splyce then took Coliseum CTF 3-1, followed by a dominant 100-0 victory on Plaza Strongholds to go up 3-1 in the series. TOX tried to begin a comeback effort by winning Coliseum Slayer 50-47, but that was the last map they’d take in this tournament. The defending champs crushed TOX 150-23 on Eden Oddball to secure the 4-2 series victory and their fourth-straight LAN title. 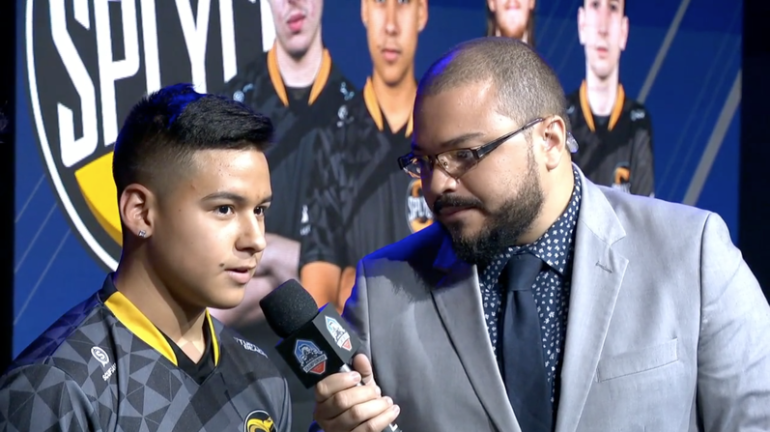 Splyce will take home the $100,000 first-place prize, while TOX will earn $50,000 after coming in second. This was another impressive display of competitive Halo from Splyce—and now, fans are wondering if anyone will ever be able to dethrone this squad.